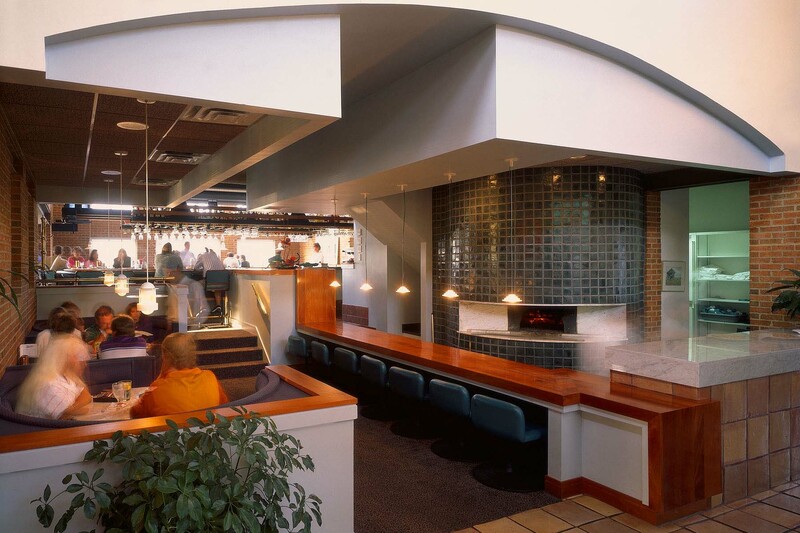 Trio Restaurant (1990). 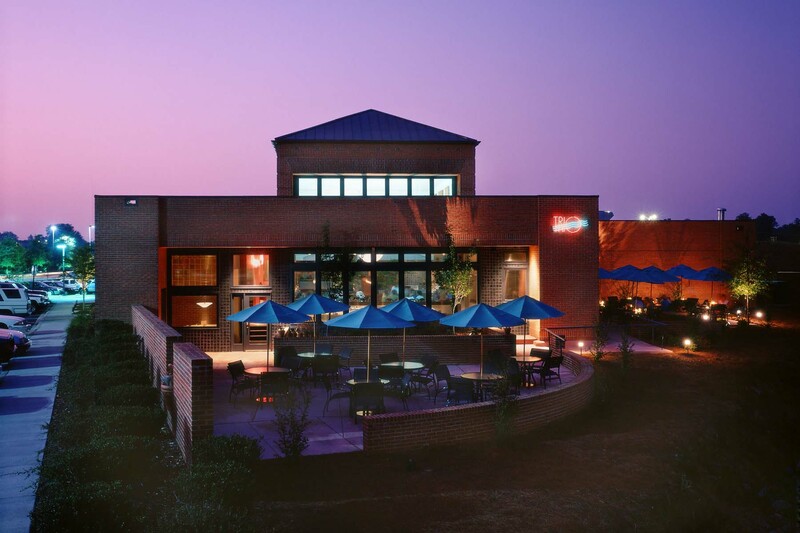 A casual restaurant and bar on a commercial lot in Charlotte, North Carolina. This stand alone building was designed to attract attention on a commercial strip while projecting a clear image of quality and substance. The interior is light filled and features a variety of dining experiences while allowing the staff to efficiently provide service. The central dining space prominently features a wood burning pizza oven.